Successful investors embrace and manage risk. Most investments face risks, such as deteriorating business fundamentals, economic downturns and market volatility. The potential rewards are higher for riskier assets. For example, unlike Treasury bonds, which are fully backed by the U.S. government, corporate bonds carry risk, but they pay higher interest rates. Successful investing is about designing portfolios consistent with your financial objectives and your tolerance for risk. 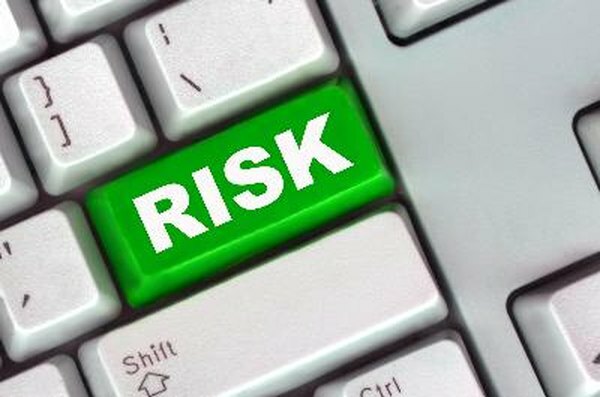 Business risk is a factor of internal operational problems and external threats. For example, retailers that do not have sufficient merchandise on their shelves or technology companies that fail to launch new products on time may suffer losses. Strategic mistakes can also cost dearly. Examples include failed mergers and attempting international expansions without understanding the local markets. External threats include new competition and changes in the regulatory environment. Companies cannot take anything for granted because nimble startups can produce devices and create operating paradigms that take away market share from even the most established players. These internal and external risks could lead to cash flow problems and even bankruptcy, which could mean defaulting on bond interest and repayment obligations. Rising interest rates, inflation and currency fluctuations pose economic risks. Rising interest rates mean higher borrowing costs, which lead to lower household spending and business investment. Higher interest rates are often a function of inflation, which results in higher input costs and lower margins. Currency fluctuations affect import and export prices, which affect profits. For example, a weak U.S. dollar could mean higher revenues for exporters as U.S. goods become cheaper overseas, but higher costs for imported goods and raw materials could raise the cost of goods sold. Globalization means that weakness in any export market poses risks to corporate profits and thus to equity and bond prices. Market risks include price volatility and liquidity. Securities markets often overreact to news events. For example, a negative earnings report from one company could lead to share price declines for all companies in the sector. Liquidity poses risks because you may have difficulty trading certain low-volume securities, such as small-capitalization and foreign stocks, and end up with permanent losses in your portfolio. Concentration risk arises when you invest in only one asset category or in a handful of securities across several categories. For example, if your portfolio consists entirely of stocks, a stock market correction could result in a significant loss of portfolio value. Diversification across and within asset categories could offer some portfolio protection. For example, if energy stocks are down due to falling energy prices, transportation stocks could be up because of lower fuel expenses. A balanced portfolio of stocks and bonds could benefit from safe-haven buying of bonds during periods of stock market volatility. Mutual funds offer a cost-effective way to diversify across different assets and geographic regions.